The first option would entail amending the config file and would be save-game compatible. The second option entails the utilisation of a kits colour changes file, and ONLY works when applied BEFORE starting a new game. It is available from here. Will fix if defaut third kit as well. i take SSKCC from FM16 to FM17 to fixed some not showing, wrong colour so on..i thought its same as FM16 but didnt...so im working on it. ay guys I have a slight issue I'm sure someone can fix for me. I've downloaded every kit folder individually so far. However the only one i can see which is working in game is The English premier Legue pack. Serie A , Ligue 1 , Eredivisie etc... All not working. Do I need to clear Cache each time I download a new one as I'm downloading new ones as they appear on this site. I'm a bit stuck but I'm sure you guys will have a quick fix. Ah okay I see, so these leagues don't work on any ones games, not just mine!? Is there a way that you know of to remove the hardcoded licensed kits that are already in the game so as to be able to just replace them with the blank Default SS Kits? no i dont...is it happen like this? Please PM me as hammer9 or here....see if any error, not showing, colour wrong so on...thank you. 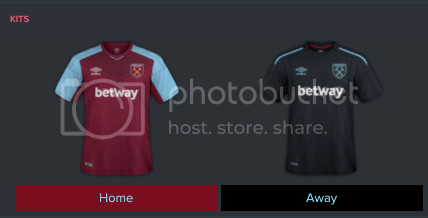 For example, all of the clubs in the Championship already have kits in the game. 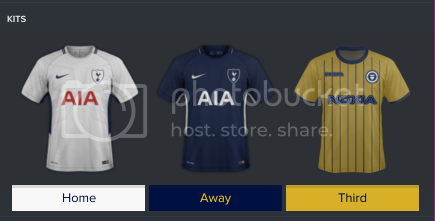 I've downloaded the Default SS kits but clubs that already have kits aren't changing. oh i see. ok...r u use FM17? Sorry so how did you fix it? What do I have to download? you need read on first post on click 'It is available from here'! i thought i did them..ill look at. When is ETA to have proper KKC with all packs fixed hammer? I know a lot of work! There is no ETA for a "finished" one I imagine as it tends to be updated as more and more kit packs are released. Agreed....huge work for me...so im working on it. I have downloaded the Segunda division B2 kit pack. Zamudio(my team) has a White home kit and red away kit. 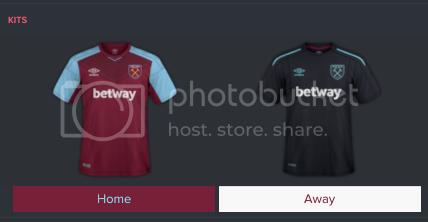 On the game SI have given them a white homekit and black away kit. So when i have downloaded the pack - only the white homekit shows. While the red away kit wont show - so the black(original SI kit) is still there. What to do? 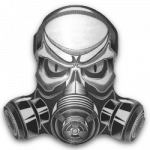 you need latest SSKCC or latest this pack, you may use old pack or SSKCC tho, make sure clear cache, reload skin then start a game! I downloaded the pack last night. Ahhh so i need this SSKCC 17 for Zamudio to work? Can i continue my game then? or do i have to start a new game? yeah start a game only...no current game thats i wish for! i have trying them as current game but not possible. For English Conference South - Truro third kit is not showing? Whitehawk third needs removing.